Our employment law team will provide you with a service that best suits your needs. We bring to our work an interesting blend of work and life experiences. We understand the heartache and distress employees and employers experience when confronted by employment relationship problems. Our job is to help you find a solution to your problems and we pride ourselves in doing this very well. Anna Oberndorfer is the Director of PBEL Ltd. She has an LLB as well as a BA in Political Science. She represented the University of Canterbury in the prestigious ALSA international championships in Melbourne in which teams from around Australia, New Zealand and the broader Asia-Pacific battle it out in various disciplines. Anna was New Zealand’s top performer in the art of cross-examination. Anna has been practising since 2011 and was the Area Manager for one of our competitors. Before embarking on her University education and career in employment law Anna worked in the hospitality sector, in particular a casino, rising to the position of Pit Boss. This experience made Anna acutely aware that in many areas of life there are winners and losers. Her recent experience of employment law has confirmed this: her clients inevitably want to know the answer to the simple question will they win. Anna is well experienced to provide the best legal answer. Anna is also a die-hard Cantabrian and a parent of four boys. Most importantly she is an excellent employment advocate. Anna works in our city and Kaiapoi offices. Phil Butler has many years experience in employment relations and is a Senior Consultant in PBEL Ltd. While he has been admitted to the Bar as a Barrister and Solicitor of the High Court of New Zealand, he does not practice as a lawyer preferring instead to work in a business providing advocacy and consultancy services to employers and employees alike. Phil is regarded as one of Canterbury’s leading employment advocates. He is known for having both an excellent understanding of his client’s case, the law and what it provides and advocacy skills that are amongst the best. 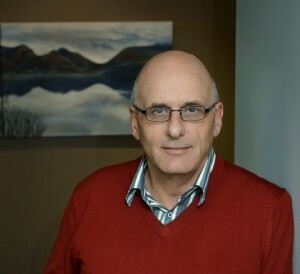 He brings to his practice his humour and an intuitive understanding of each client’s needs. Phil is a parent of three young adults in their thirties. His experience as a parent allows him to appreciate the competing demands of work and family facing many employers and employees. Sonoko is the first person people will have contact with when contacting PBEL. She manages the office. She was born in Japan but from the age of 10 she was raised in New Zealand. After completing her science degree, she worked in the health sector but then moved away from science into the hospitality and tourism industry. With her husband she shares the parenting of her young daughter. She brings to her role the essential empathy and understanding needed when employment relationships are struggling. Ashleigh is an enrolled barrister and solicitor who is working for PBEL as our Legal Adviser. Her qualifications are top shelf. She has a Masters degree with Honours in law along side an arts degree (with a double major in Sociology and Human Services). 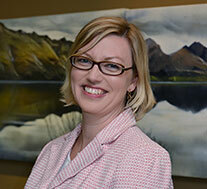 She provides the free calling service and is focussing on preparation of employment packages for Canterbury’ employers. As her busy schedule allows she is providing advocacy services. She is Red and Black through and through with a passion for cars – flashy fast and noisy. She has worked in a call-centre for one of New Zealand’s larger employers and understands both the good and the bad of their employment practices. She is part of the generational change occurring within PBEL.